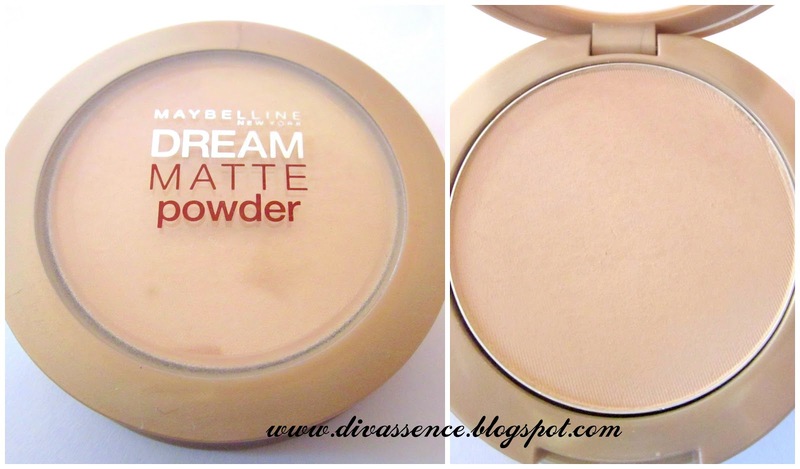 Maybelline Dream Matte Powder: Review - Divassence! When Maybelline launched their new Dream line the first thing (along with the foundation) I bought was the Matte Powder from the range. There is enough quantity to last a lifetime. Being a pressed powder there is no wastage while applying it on the face and a swiping your brush once on the powder will cover the entire face. The packaging is extremely travel friendly. It has an inbuilt mirror and a powder puff. How I use it: I take a little on my powder puff/brush and dab it ONLY on the oily parts of my face. I don’t use it all over my face. If you have oily skin then you can dab a little all over your face except your cheeks. Apply your blush and lightly dab the excess matte powder on the puff/brush on your cheeks. This would keep your makeup intact for the day. I need to reapply the powder every 6 hours. The lasting powder is good enough for me. However I do have a few things which I dislike with respect to this one. The limited availability of shades is one thing I disliked. There are only three shades and the darkest one of the three might be very light for a lot of us. Thankfully it worked perfectly for me. It is NOT a transparent/translucent powder. Sometimes whenever I use this on certain parts of my face I feel it looks whiter than the others. So I use very little and swirl the powder into my skin. That keeps the color of my face even. Can you believe this was the darkest shade available?? thank you 🙂 do you use a matte powder? i know!! the foundation and the matte powder from the dream range are of good quality too! why would they want to restrict their market to a few consumers when there have a good market in India? Nice Review.. I might go for cheaper options ! haha.. 😀 hyderabad and bangalore makes anyone’s skin dry! 😀 whenever i visit hyderabad my skin becomes horrible..
i love this!! it mattifies my face totlly and makes it totally matte and oil free! Thank you 🙂 Welcome to Divassence! 🙂 would love it if you follow Divassence!